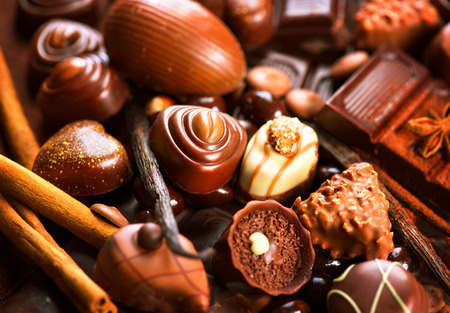 If you think about what foods you crave the most during your period, chocolate is likely the first thing that comes to mind. Whether you love a good chocolate bar, chocolate ice cream or anything dipped in chocolate, the craving just needs to be satisfied. Nevertheless, munching on a bunch of chocolate snacks during your period may have you feeling a bit guilty. If you are thinking about all the extra calories you need to burn thanks to the sweet treat you just enjoyed, we have some good news. There is actually a chocolate that will keep you from gaining weight when you eat it! While many of us prefer milk chocolate over its dark chocolate counterpart, dark chocolate is a healthier alternative that isn’t too difficult to get used to. Lots of ladies actually think that dark chocolate tastes great! In order to help yourself and your cravings during your cycle, head to your nearest grocery store and pick up a bar of dark chocolate in place of the sugary sweet milk chocolate you traditionally choose. To help you steer clear of over indulging, the cocoa percentage should be over 40 percent and the bar should only contain cocoa butter; no vegetable fats or butterfat.